Tracking and trailing are 2 different techniques used to find a suspect on the move. We can train either method for our dogs but prefer trailing over tracking. 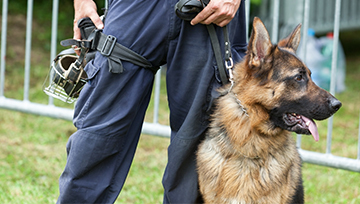 Tracking training is slow and in the majority of situations when a K9 unit is called out to find a suspect, the suspect often has a lead on the K9 unit. Speed is a key factor for a successful find. 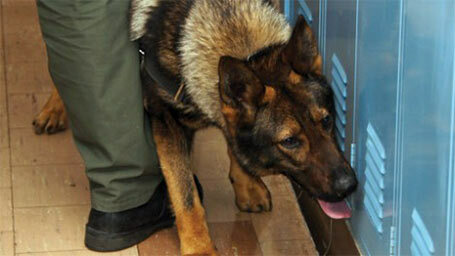 Trailing allows a dog to use all of it senses to locate a suspect. This method is more natural for the dog and typically yields higher find ratios. 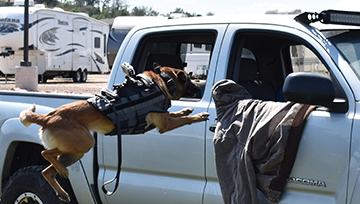 We train in a variety of environments and weather so our dogs are proficient in any circumstance that you might encounter. We want to ensure our dogs have the highest find ratios possible and take our time with these dogs. 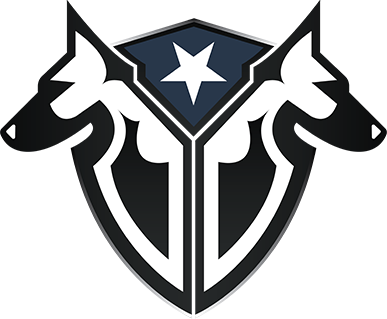 We adhere to the certification standards set forth by the CPCA and they can be found here.